It is a private or institutional investment made into early-stage / start-up companies (new ventures). As defined, ventures involve risk (having uncertain outcome) in the expectation of a sizeable gain. Venture Capital is money invested in businesses that are small; or exist only as an initiative, but have huge potential to grow. The people who invest this money are called venture capitalists (VCs). The venture capital investment is made when a venture capitalist buys shares of such a company and becomes a financial partner in the business. 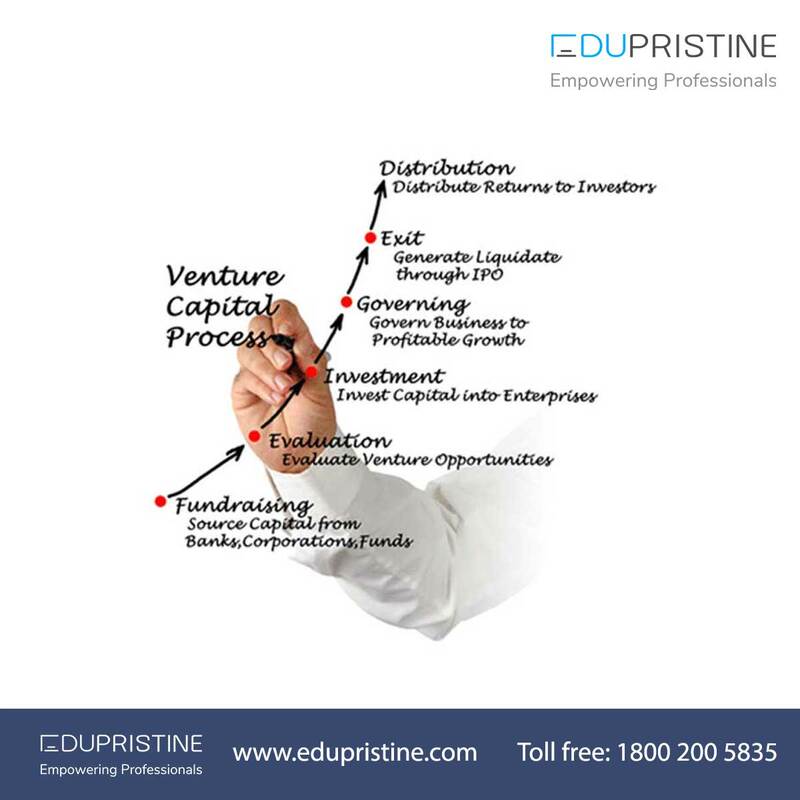 Venture Capital is the most suitable option for funding a costly capital source for companies and most for businesses having large up-front capital requirements which have no other cheap alternatives. Software and other intellectual property are generally the most common cases whose value is unproven. That is why; Venture capital funding is most widespread in the fast-growing technology and biotechnology fields. Kohlberg Kravis & Roberts (KKR), one of the top-tier alternative investment asset managers in the world, has entered into a definitive agreement to invest USD150 million (Rs 962crore) in Mumbai-based listed polyester maker JBF Industries Ltd. The firm will acquire 20% stake in JBF Industries and will also invest in zero-coupon compulsorily convertible preference shares with 14.5% voting rights in its Singapore-based wholly owned subsidiary JBF Global Pte Ltd. The fundingprovided by KKR will help JBF complete the ongoing projects. Pepperfry.com, India’s largest furniture e-marketplace, has raised USD100 million in a fresh round of funding led by Goldman Sachs and Zodius Technology Fund. Pepperfry will use the fundsto expand its footprint in Tier III and Tier IV cities by adding to its growing fleet of delivery vehicles. It will also open new distribution centres and expand its carpenter and assembly service network. This is the largest quantum of investmentraised by a sector focused e-commerce player in India. Considering the high risk involved in the venture capital investments complimenting the high returns expected, one should do a thorough study of the project being considered, weighing the risk return ratio expected. One needs to do the homework both on the Venture Capital being targeted and on the business requirements.